My family love barbecues. Perhaps a little too much. I think they would have barbecues for breakfast if I let them! I don't mind them and enjoy being outdoors and the social aspect, but I find burgers and sausages get a bit samey after a while. 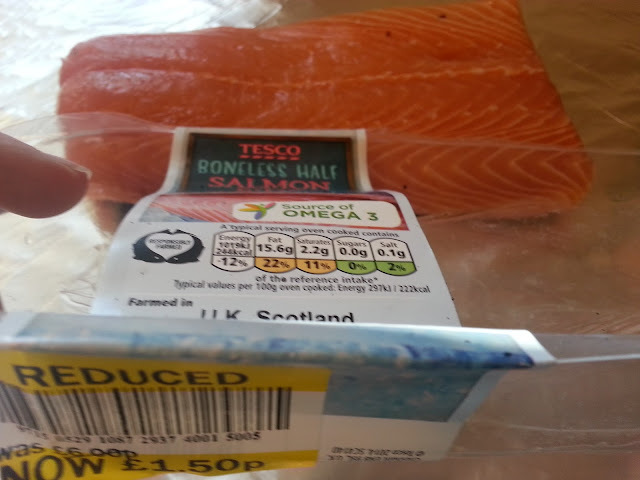 So, when I found a half side of salmon reduced to £1.50 in the bargain bin at the supermarket yesterday, I decided that had to be the answer to my barbecue boredom. 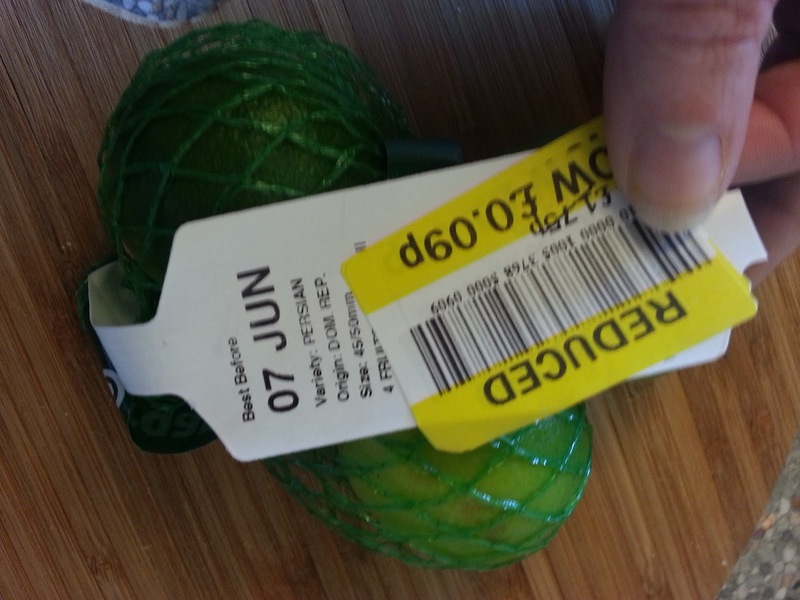 But what to do with it... Inspiration came in the form of another bargain buy, a bag of limes for 9p! 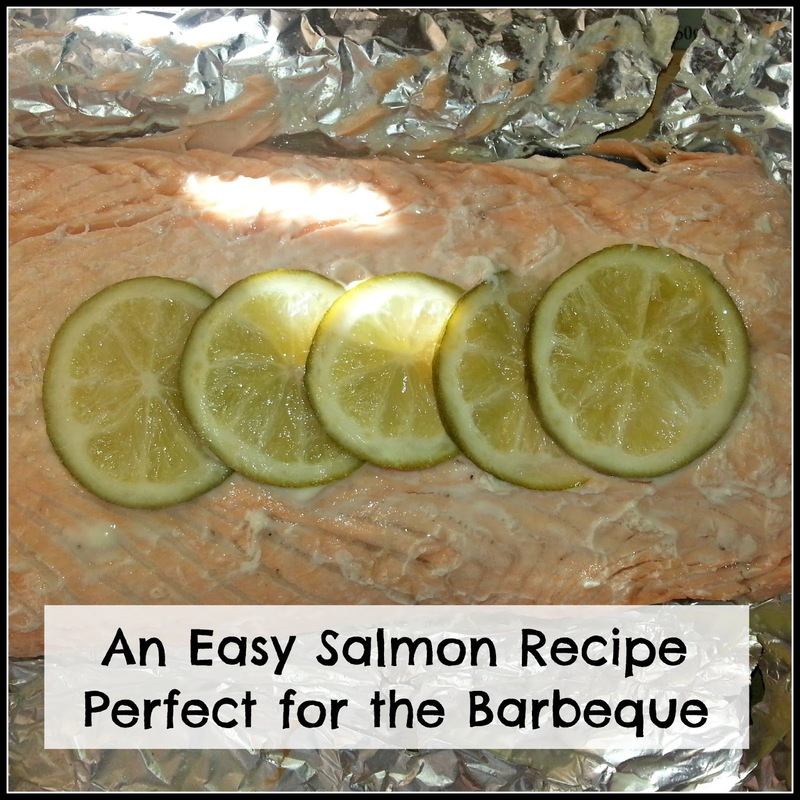 Here's how to make a delicious salmon dish to add some interest to your usual barbecue meals. I was very brave, for me anyway, and invented my own recipe, based on just these two ingredients and it was absolutely delicious! The half side was enough to feed three people, Here's how I did it. 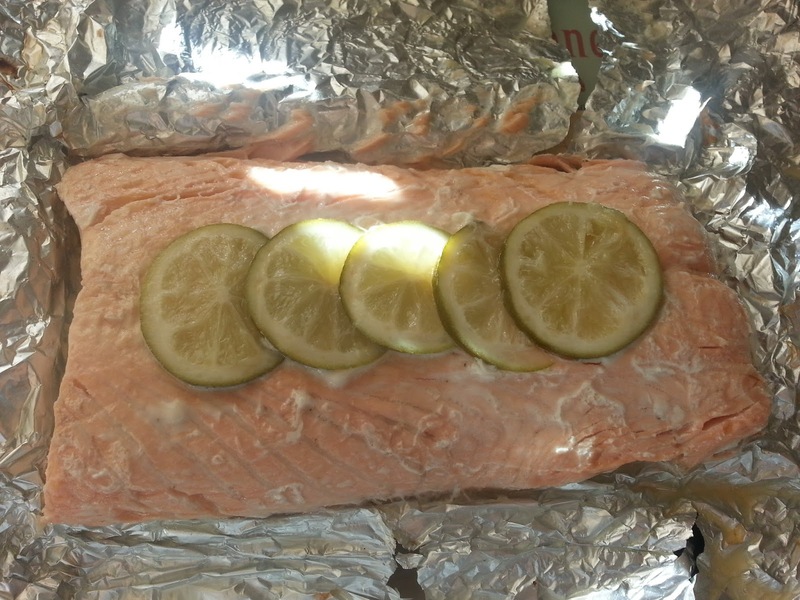 Firstly I placed the salmon on a large piece of tin foil and arranged slices of lime along the top. 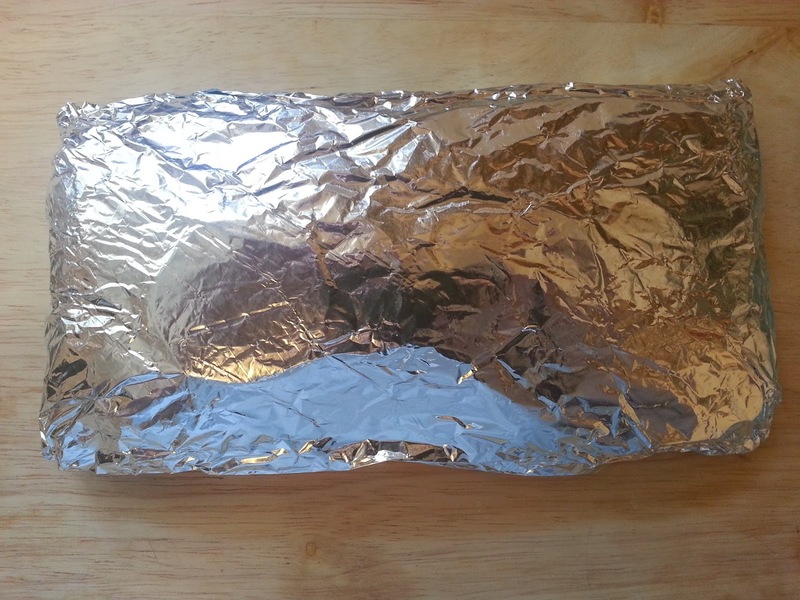 Then, I wrapped it really well in the tin foil and placed on the barbecue for twenty minutes. That is literally all there is to it! Unwrap, as soon as it's cool enough and serve with a baked potato. 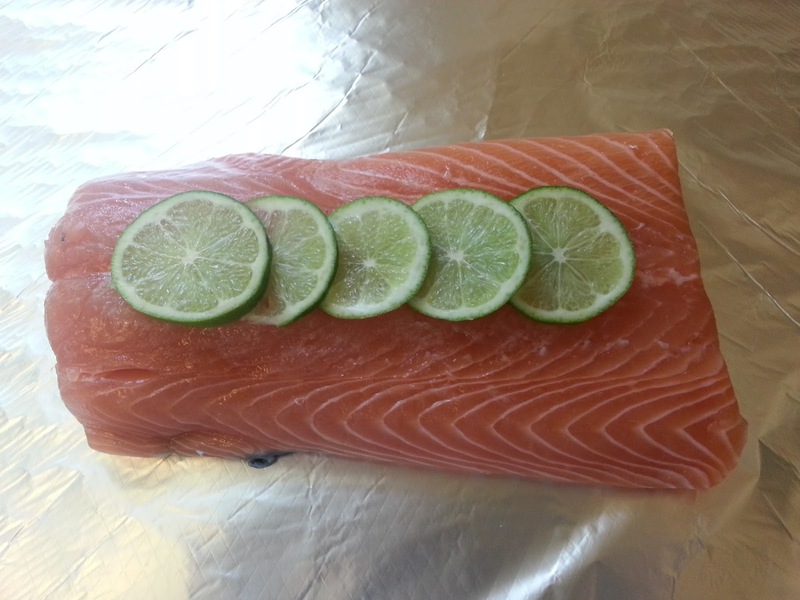 The fish literally falls apart and is amazingly moist, with a delicious, subtle limey flavour. You can barbecue your spuds, too. Microwave them for a few minutes first, as they do take a long time to cook otherwise. 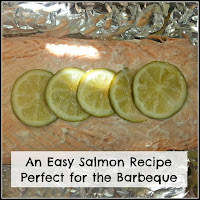 Then, wrap them in A LOT of tin foil, as they tend to unwrap themselves a bit, and place them directly in the charcoal soon after lighting the barbecue. They should take about an hour to cook unless they are really huge, then it could be a bit longer. They will take on a unique smoky flavour. I served mine with a spicy chicken couscous and some coleslaw. 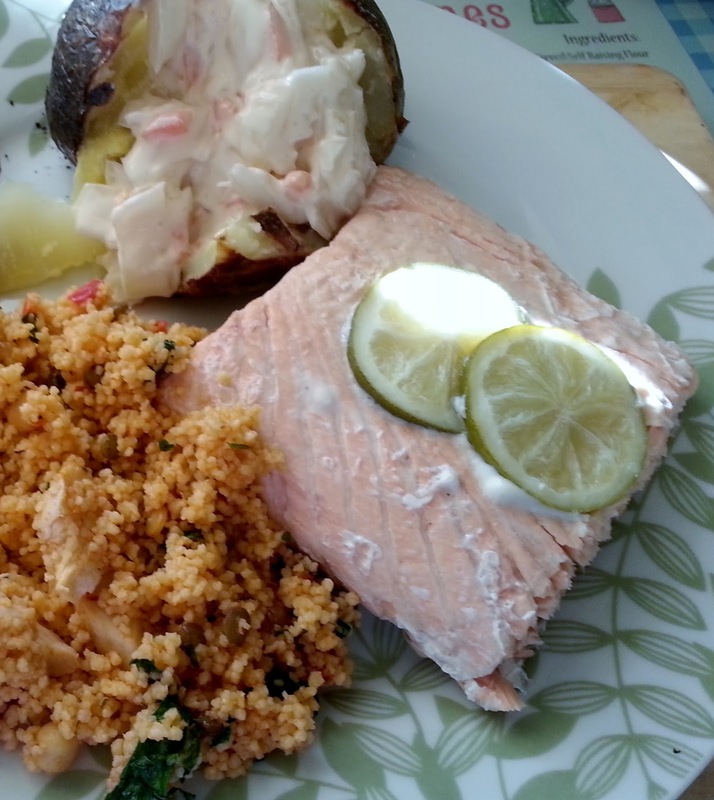 It made a lovely change from traditional barbecue food. Oooh never thought of baking salmon with lime, I always use lemon, will definitely try this! It's a Blogger Thing; Five Unique Bloggerisms! Win a Child-Proof iPad Mini Case worth £45!! My Sunday Photo; Typical British Weather! Making Basic Biscuits Better, with Betty Crocker! Win Star Wars Single Reversible Duvet Set! Camping. Great Entertainment on a Small Budget.